With over 200 factors in Google’s algorithm, SEO is a complex science. But it’s not how much you need to know that makes it really challenging — it’s the ever-changing nature of the rules of the game. As search engines strive to improve the quality of search results, some ranking factors shift shapes, others fall into oblivion, and completely new ones arise out of nowhere. To help you stay ahead of the game in 2018, here’s a list of the most prominent trends that are gaining momentum, with tips on how you can prepare for each. Are you assuming a #1 organic ranking is the way to get as much traffic as possible? Think again. 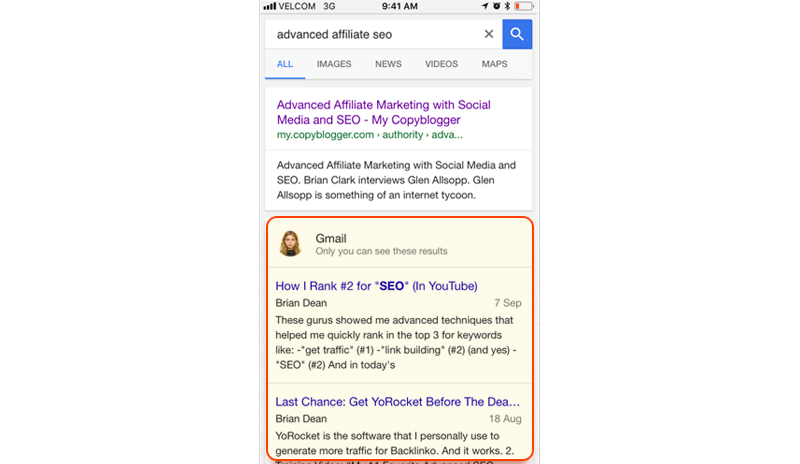 Increasingly, SERP features (local packs, Knowledge panels, featured snippets and so on) are stealing searchers’ attention and clicks from organic listings. … to something that makes you feel like you’re part of a Brazilian carnival. 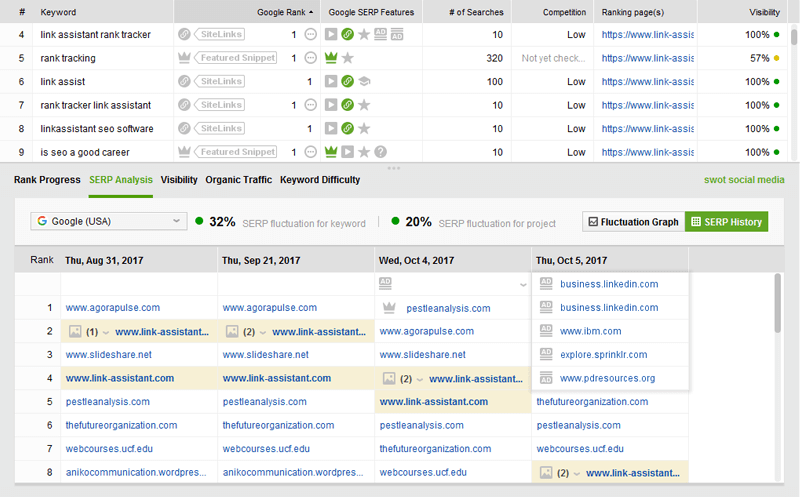 With the evolution of SERP features, it’s critical that you (a) track your rankings within these features, and (b) monitor the features that show up for your keywords and are potentially stealing traffic from you. You can do this with SEO PowerSuite’s Rank Tracker by simply starting a project for your site. 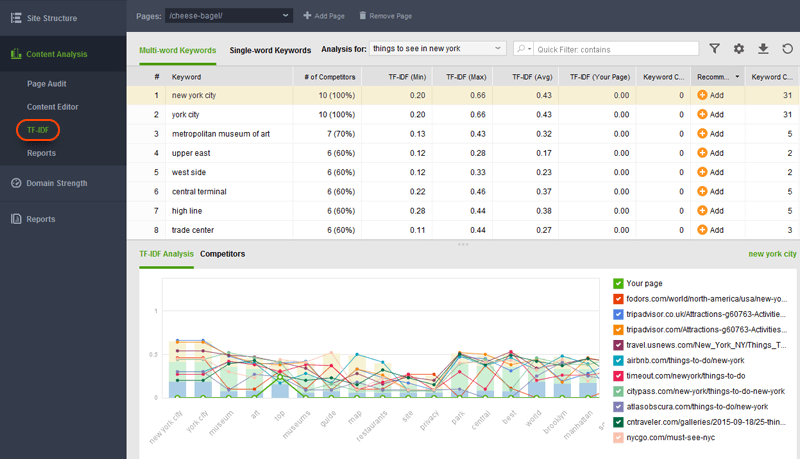 The tool will track 15 Google SERP features, along with organic results. The Google SERP Features column will show you all features triggered by your keywords, with the ones you rank in highlighted in green. Additionally, you can measure the volatility of SERP features day-to-day under the SERP Analysis tab. Structured data is a way of formatting HTML that uses a specific vocabulary, telling search engines how to interpret content — and how to display it in the SERPs. Google’s never officially confirmed structured data is a ranking signal — and in itself, it likely isn’t. Why bother, then? Glad you asked! Structured data lets you enhance your search listings in several ways: Think Knowledge Graph panels and rich snippets. The latter can increase your listings’ CTR (click-through rate) by 30 percent. Multiple real-life experiments show an increase in clicks boosts rankings. With search results getting more diverse, you can’t ignore the opportunity to stand out. In fact, you’d better get at it right now, before a competitor does. Go on and do it, really. There are several structured data formats, but most SEOs stick to Schema.org. This step-by-step guide to Schema for SEO is a good place to start. Once you’ve implemented the markup, track whether rich snippets show up for your site with the Rank Tracker tool mentioned above. Speed is big. Not only is it a ranking signal; it’s a major UX factor. UX, in turn, impacts rankings. It’s a loop of sorts! But how fast is fast, exactly? Google expects pages to load in under three seconds. Here’s what you can do to get there. First, take Google’s page speed test. The test is integrated into WebSite Auditor and available in its free version. Just launch WebSite Auditor and create a project. Jump to Content Analysis and specify the page you’d like to test. In a moment, you’ll see a selection of on-page factors calculated for you. Go to Technical factors and scroll to Page speed (Dekstop). For any problematic factor, click on it for an explanation and how-to-fix advice. 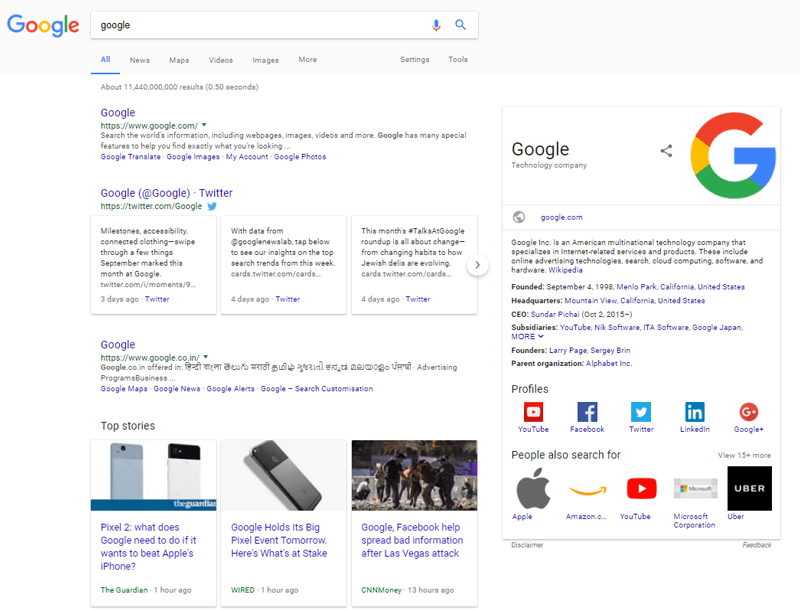 With RankBrain, Google may further analyze the best-performing search results (according to Google’s user satisfaction metrics) and look for similarities between them. These shared features, such as usage of certain terms, may become query-specific ranking signals for the given search term. How do you make sure your content is comprehensive? By researching the top-ranking pages in your niche and looking for the features they share, just like RankBrain does. Clearly, you can’t do this manually for each term, so here’s a simple framework that uses WebSite Auditorand its TF-IDF tool. 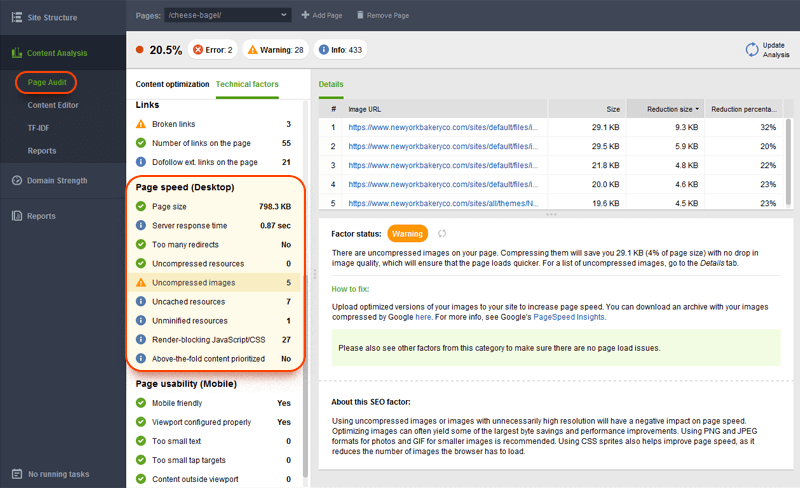 In WebSite Auditor, jump to Content Analysis > TF-IDFand select a page. The app will go to Google’s search results, analyze the 10 top-ranking pages and calculate a TF-IDF score for each term used on each page. As a result, you’ll get a list of relevant terms and phrases, sorted by the number of competitors that use them. You can implement the recommended changes and edit your page right in WebSite Auditor’s Content Editor. Still skeptical about voice search? Consider this: Google reports that 55 percent of teens and 40 percent of adults use voice search daily; and, according to Google’s Behshad Behzadi, the ratio of voice search is growing faster than type search. Voice search calls for a whole new keyword research routine: Voice searchers use normal, conversational sentences instead of the odd-sounding query lingo. Rank Tracker is a great help in researching questions voice searchers are likely to ask. 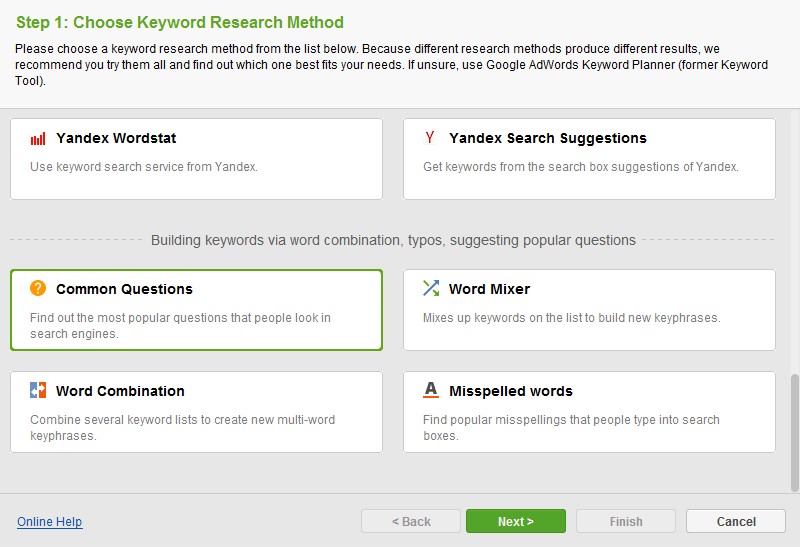 Launch Rank Tracker (free version is fine), jump to Keyword Research, and press Suggest Keywords. Pick the Common Questions method from the list, and type in your keywords. In a minute, you’ll end up with hundreds of questions you can target! With the rise of voice search, over half of Google searches coming from mobile devices, the impending mobile-first index, and mobile-friendliness being a ranking factor, you simply can’t afford to ignore mobile SEO anymore. First off, check if your pages are mobile-friendly. Google’s mobile test is available in WebSite Auditor, under Content Analysis. Enter the URL of the page you’d like to test, switch to Technical factors, and scroll down to Page usability (Mobile). Click on the problematic factors, if any, for how-to-fix advice. Forward the tips to your dev team, and re-run the test once the improvements have been made. For years, links have been the trust signal for search engines — one that SEOs spent the most time on optimizing (and often manipulating). But times are changing, and linkless mentions may be becoming an off-page signal of equal weight. Search engines can easily associate mentions with brands and use them to determine a site’s authority. Duane Forrester, formerly senior product manager at Bing, confirmed that Bing is already using unlinked mentions for ranking. This patent and many SEOexperts’ observations are reason enough to believe that Google may be doing this too. 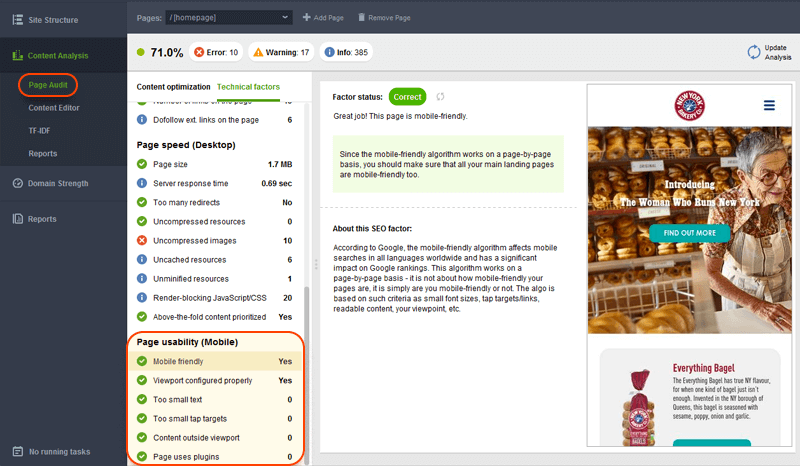 In addition to a backlink checker, use a web monitoring tool to find mentions of your brand and products. 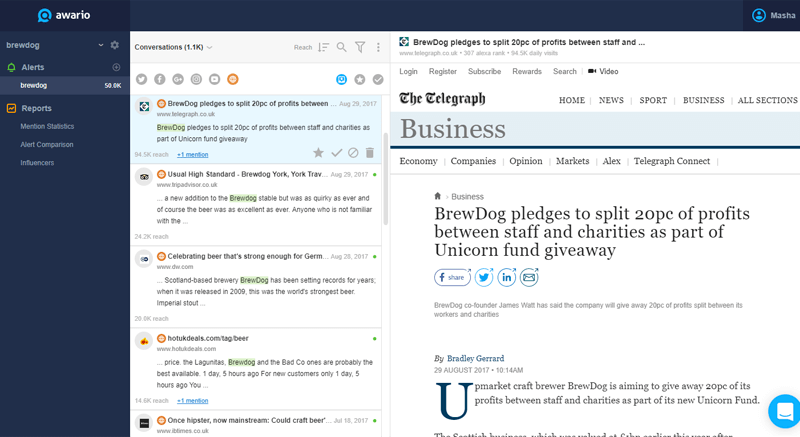 Awario is perhaps one of the best apps for this, with their own real-time index of the web and the Reach metric that lets you see the most authoritative mentions first. Personalized search results aren’t just based on the traditional ranking factors, but also on the information about the user (such as their location, search history or interests). 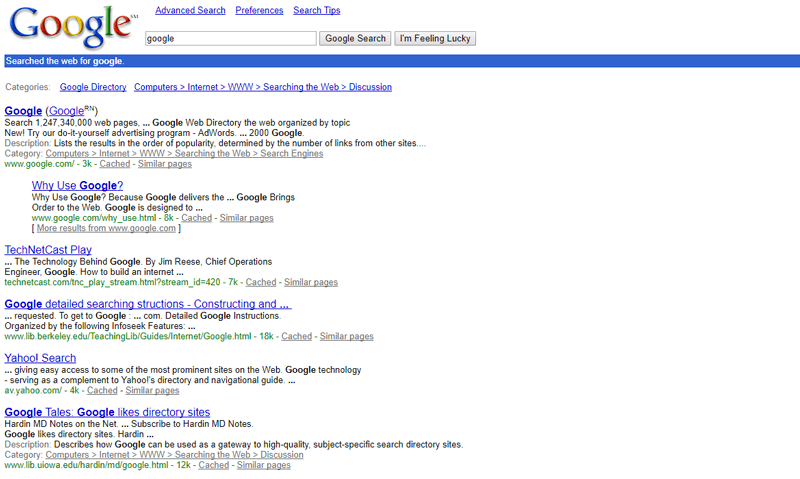 Google, Bing and Yahoo all personalize their search results in multiple ways. Back in 2011, an experimentshowed that over 50 percent of Google searches were being personalized; that number has likely only gone up since. Don’t panic: Personalization doesn’t have to work against you. When someone searches for your target keyword for the first time, you’ve got to do your best to appear among the top results in the unbiased SERP. If the searcher clicks on your listing, you’re becoming their preferred entity, and their subsequent searches will most likely include your site as the top result. One thing to keep in mind is to ensure your rank tracking is accurate. Rank Tracker will check your rankings in a depersonalized way by default, so there’s no need to set up any extra prefs. But if you’re looking to see unbiased results in your browser, make sure you’re using an Incognito/Private mode.